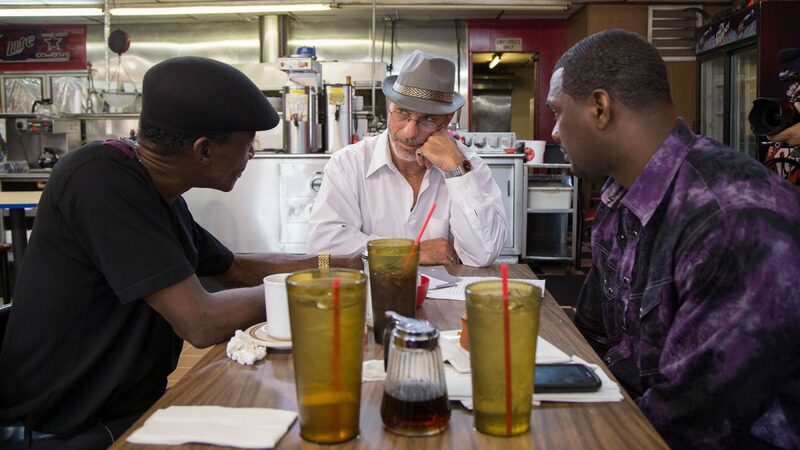 After serving a combined sixty years in prison for crimes they did not commit, Texas exonerees Christopher Scott, Johnnie Lindsey, and Steven Phillips form an unlikely investigative team — their mission is to help wrongfully convicted prisoners obtain freedom through the emergence of DNA evidence or new information. This grassroots dream team of devoted investigators, transforming decades of hard time into a career of service, are the compassionate beating heart of Jamie Meltzer’s hardboiled and rousing documentary. Focusing on two major cases — Max Soffar, a Death Row inmate of 35 years who was forced into a triple murder confession in Houston as a young man, and Isaiah Hill, who was sentenced to life in prison on aggravated assault charges after refusing a plea bargain — the trio logs hundreds of miles digging up fresh evidence on behalf of their incarcerated clients. Through tenacity, hope, and determination, these freedom fighters work together to rebuild broken lives and families as they campaign to right a broken criminal justice system’s wrongs with each new case they take on.